It's hard to imagine any building, let alone home, without windows. Windows are what connects the outside with the inside while also providing us with protection. They give us access to the warmth and light that only the sun can provide, and so their effective implementation can help greatly reduce our energy bills. With Sunlux Traditional Sash Windows, you can count on some of the finest windows in London. We offer a great selection of various types of windows. Whether you're looking for something more traditional or more modern, you'll find it here without a problem. 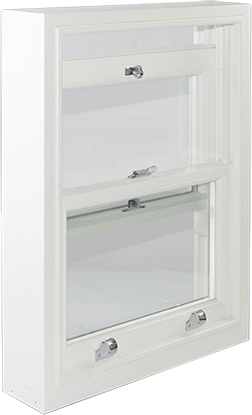 Sash windows, for example, are among the most popular window models in the UK. We offer timber and softwood box sash windows that make the most of modern technologies, implementing features like draught-proofing. With reliable double-glazing, our sash windows are among the best in Wimbledon, as well as London in general. If you're looking for roof windows, we have just what you need. Sunlux offers a fantastic selection of aluminium roof and skylights. With some of the greatest variety in the UK, our roof windows and skylights also come in bespoke versions, so you can freely customise them into exactly the form you require. We also offer other types of windows, such as casement windows, flush casement windows, and tilt&turn windows. Regardless of the type of window or your choice of material - timber, aluminium, or PVC, you can be sure that you'll get the best quality products in London.